Artists in Britain have long been fascinated by the sea, the spectacle of waves crashing on the shore, and the destructive power of the ocean. Since the early nineteenth century, the sea has been an important focus for painters relishing the challenge of working directly from nature, often in inhospitable conditions. Such work has gained a new urgency with current concerns about climate change and rising sea levels. Danger is a recurrent theme; Morland, Danby, Brett and Langley emphasized the human costs of shipwrecks, Turner concentrated on elemental fury, and Constable on the sea’s breezy freshness. Late nineteenth century depictions seem more benign, a source of leisure and health. Moore, James, and Laurence sought ways to capture the movement of waves. Twentieth century artists Nash, Wadsworth and Feiler found reassurance in the simple geometry of sea walls and boats, while Lanyon, Piper and Eardley portrayed the coast as a place of swirling winds and shifting moods, emblematic of the artist’s own subjective experience. Arguably artists working today and engaging with the sea have (inevitably) the contemporary concerns associated with environmental changes and challenges as either the focus or the backdrop to their practice. This universal and global experience resulting from climatic change manifests itself in the destructive force of the sea and the inundation of the land. Kurt Jackson takes this environmental agenda as the springboard for many of his works. Simon Read, Michael Porter, and Jethro Brice portray coastal erosion and rising sea levels, while Peter Matthews and Andrew Friend immerse work in the sea or create devices to disappear below its surface. History, myth and maritime tradition inhabit the works of Hugh O’Donoghue and Will Maclean. Monochromatic photographs and etchings by James Beale, Norman Ackroyd and Thomas Joshua Cooper capture its moods, beauty and movement. 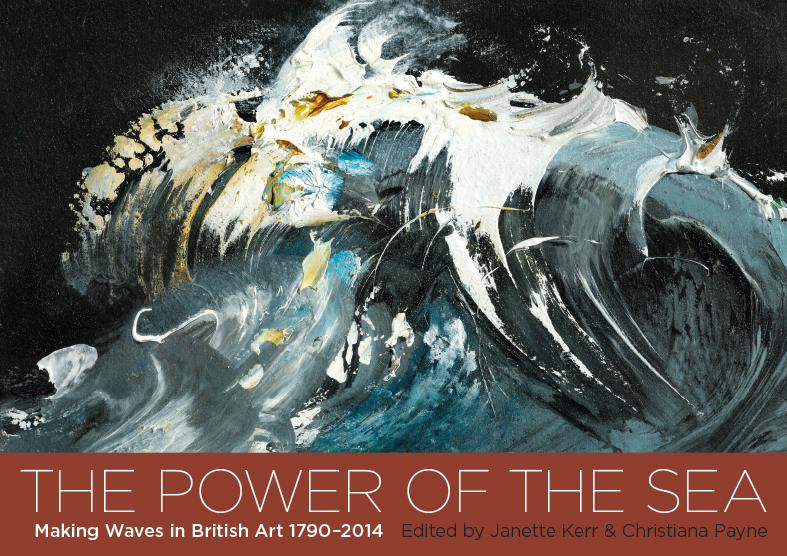 Maggi Hambling, recognised for her celebrated series of North Sea Paintings, has depicted the power and energy of the sea in both paint and bronze. Gail Harvey creates colourful waves, while Len Tabner, and Janette Kerr depict seas that foam and froth furiously.